Up to 20% of children in the United States suffer from a mental disorder, and the number of kids diagnosed with one has been rising for more than a decade, according to a report released by the U.S. Center for Disease Control and Prevention (USCDCP). In the USCDCP agency’s first-ever study of mental disorders among children aged 3 to 17, researchers found childhood mental illnesses affect up to one in five kids and cost $247 billion per year in medical bills, special education and juvenile justice. Children with mental disorders – defined as “serious deviations from expected cognitive, social, and emotional development” – often have trouble learning in school, making friends, and building relationships later in life, the report said. 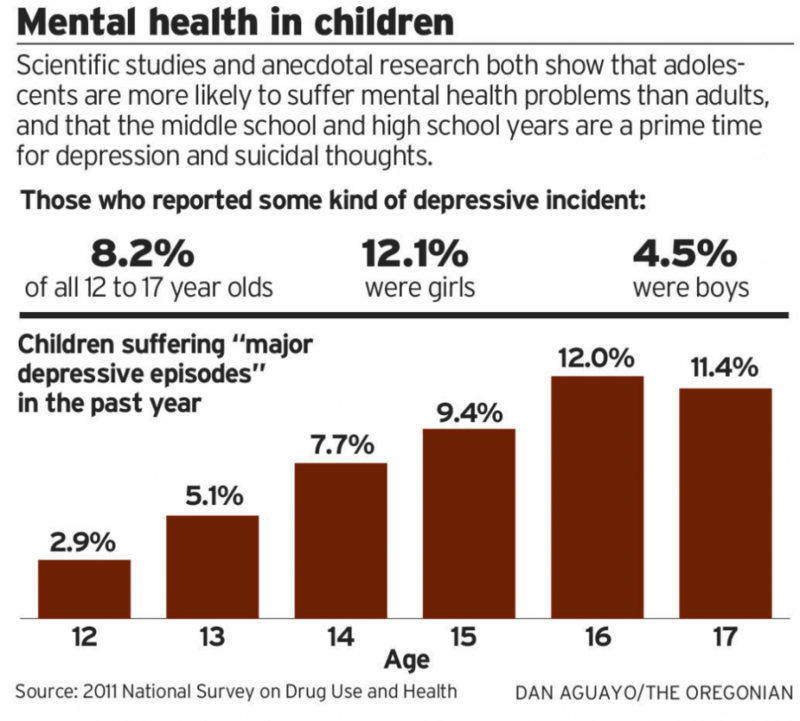 The study cited data collected between 1994 and 2011 that showed the number of kids with mental disorders is growing. The most prevalent mental health diagnosis, as reported by parents, was Attention Deficit/ Hyperactivity Disorder (ADHD), which affects 6.8% of children. Also common were behavioral conduct problems (3.5%), anxiety, which consists mostly of fears and phobias (3%), depression (2.1%) and autism spectrum disorders (1.1%). Many of these disorders occur together, the report said. The study also noted that suicide, which can be precipitated by an untreated mental illness, was the second leading cause of death (after accidents) among children 12 to 17 years old.